So why might these drugs not be available to those who could really use them? The Hepatitis C drug is currently priced at $1,000 per pill. So one pill a day, for 8 to 12 weeks, would cost approximately $56,000 to $84,000. The member may only have to pay between $50 to $500 (depending on the insurance plan) for a 30-day supply of the medication, leaving most of the cost of the drug as the insurer’s responsibility. In the past, insurance carriers have designed their plans so that if a patient needs a high cost prescription drug, the patient pays a higher copay, or coinsurance versus a lower copay for a low-cost generic drug. This may have been more effective in the past because on most insurance plans, even if you hit your maximum out-of-pocket for the year for medical services, you would continue to pay prescription drug copays or coinsurance. However, due to the Patient Protection and Affordable Care Act (ACA), insurance carriers have now had to integrate the prescription drug costs paid by the insured into the medical maximum out-of-pocket for the calendar year. So now, even if an insurance carrier charges 30% coinsurance for the Hepatitis C drug ($9,000 is 30% of $30,000 for a one month supply), the patient would only have to pay up to $6,350 if that was their maximum out-of-pocket for the year on their plan. Once they hit that maximum out-of-pocket, all other expenditures, whether medical or prescription related, would be covered at 100% by the carrier, as long as the claims were made at an in-network provider. After the maximum out-of-pocket is met, there is nothing to hold someone back from utilizing their plan as much as they can. For example, they may get that knee surgery that they have been putting off, just because it will now be covered at 100% with no expense to them. Or perhaps they will get those allergy shots they have been thinking about doing for the past couple of years. While there is nothing wrong with getting the treatments that you need, or that would make your life more enjoyable, sustainable, or increase your quality of life, it places a heavy burden on the insurance carriers, and the rest of the insured population because someone will have to pay for those services, and the high cost of the specialty medications. So I am curious – with all of these new medications and new advancements that are about to hit the market, will they even be available for consumers? The insurance carriers are doing what they can to keep costs down, even with the exponential increase in the cost of health care, but when the prescription costs go up this much, it is going to blow up, and in a big way. According to an insurance carrier in northern California, the cost of specialty drugs was $87 billion in 2012, and is projected to be $192 billion in 2016, which is a 120% increase. By 2020, they are projecting $402 billion in specialty drug spending, which is a 400% increase from 2012. How can they incur an increased cost of prescription drugs without raising premiums for all of their members? 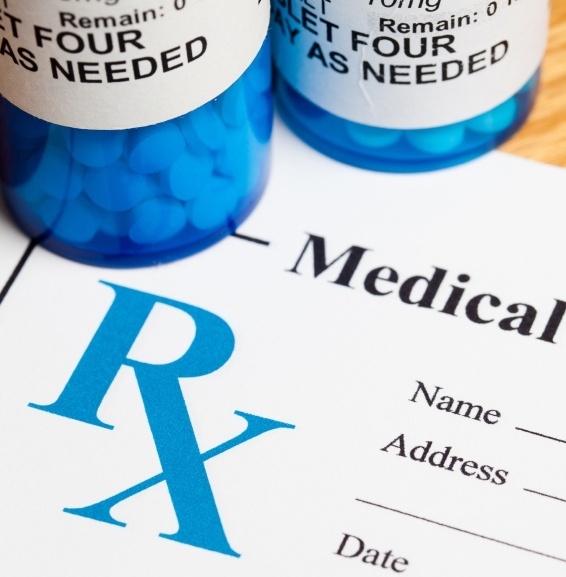 Insurance carriers publish prescription drug lists every year to show which drugs fall into different categories and which drugs the insurance carrier will cover. There are usually between three and four different tiers: generics (Tier 1), formulary or brand name (Tier 2), non-formulary (Tier 3), and specialty or injectable (Tier 4). Even though some of these prescriptions have been found to be very effective, they may be left off the list of available prescription drugs simply because they will raise the cost of the claims too significantly for the insurance carrier to be able to maintain their premiums for their members. The ACA has made it very clear that the prescription drug costs are to be integrated with the medical maximum out-of-pocket for the insured. So unless legislation is passed that will, in some way, allow the insurance carriers to make certain drugs exempt from that requirement, or allow them to have a separate maximum out-of-pocket for specialty medications, I don’t know another way that the insurance carriers will be able to keep costs down without denying access to the drug through their insurance plans. I am amazed that there have been so many advancements in recent years, thrilled that the quality of life for many people is improving, and excited that curing or treating individuals for these conditions now may reduce their cost of care in the future, which in turn may reduce costs for everyone down the road. But I don’t see how it will be sustainable without increasing the insurance costs for everyone, which has skyrocketed in the past five years. Perhaps a name change of the Patient Protection and “Affordable” Care Act is in order? For more information on rising pharmacy copays, 4-tier plans, and coinsurance models, or to benchmark your pharmacy plan, read UBA’s press release with the latest Rx data. For comprehensive health plan cost trends, download the UBA 2014 Health Plan Survey Executive Summary. To benchmark your plan to others in your region, industry or size bracket, contact a UBA Partner near you to run a custom benchmarking report.